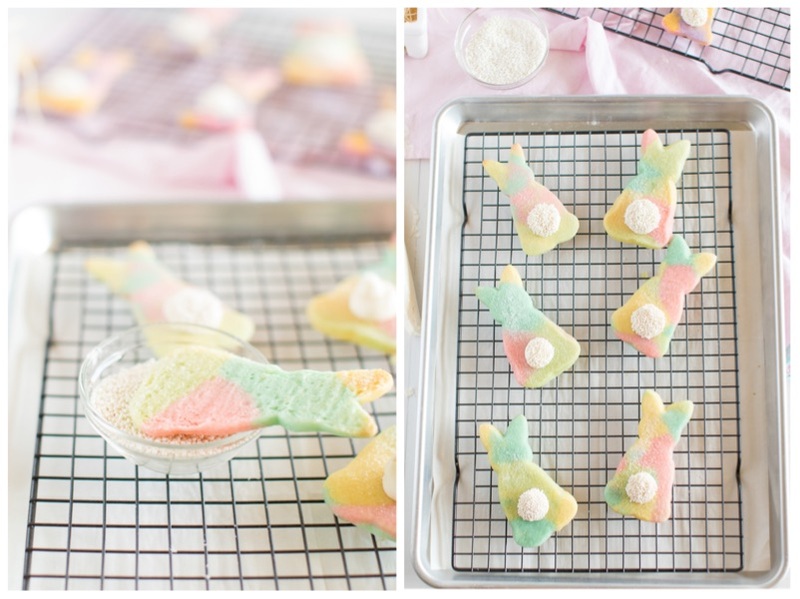 Marbled Easter Bunny Cut Out Cookies – a fun, colorful, and festive cut out cookie recipe that is perfect for Spring and Easter time! 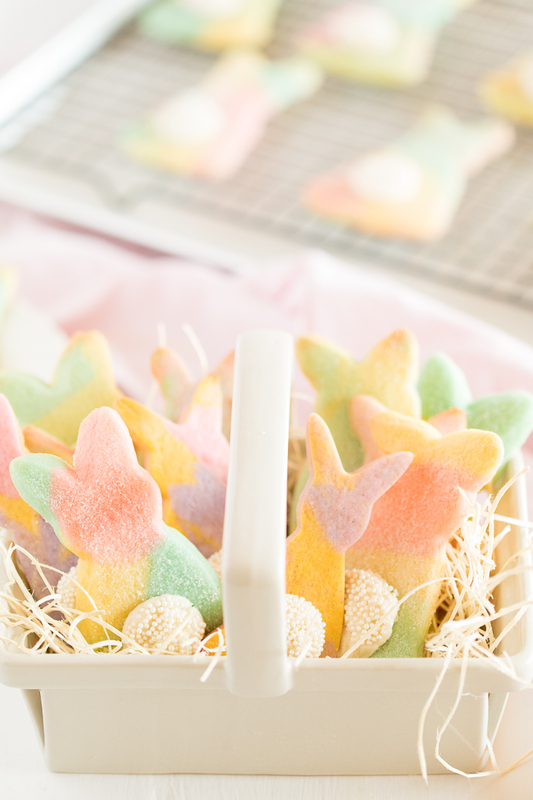 Kids will love the fun bunny shapes and the marbled colors. 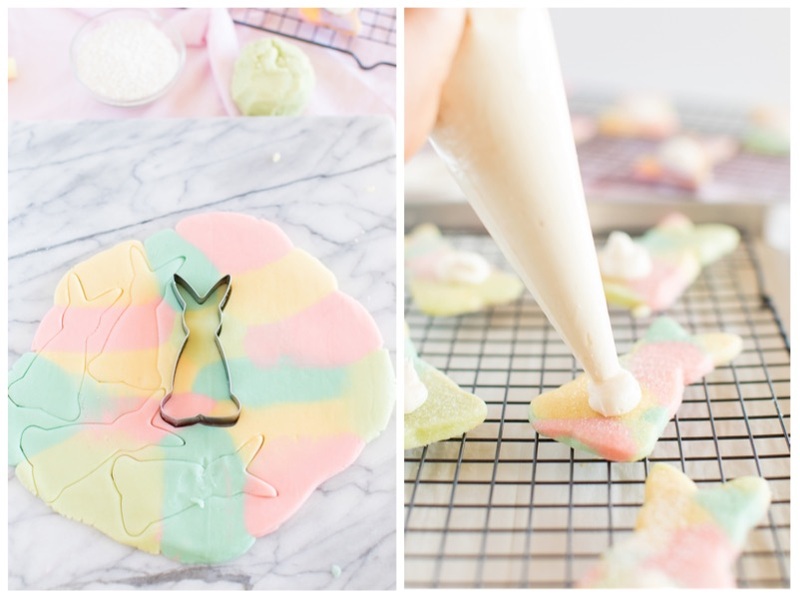 We love celebrating all the major holidays with a little special treat or craft and these Marbled Easter Bunny Cut Out Cookies are just perfect for the Springtime and Easter season! 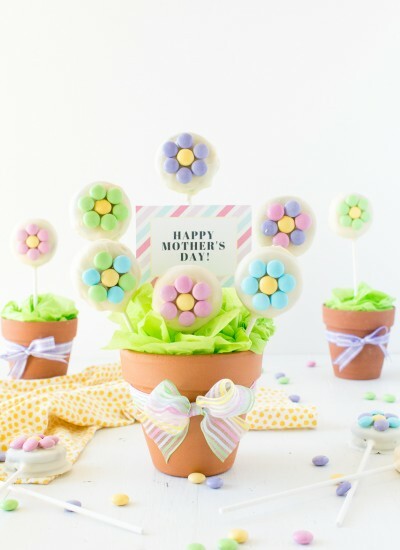 They are great for Easter baskets or to package up as a little gift! 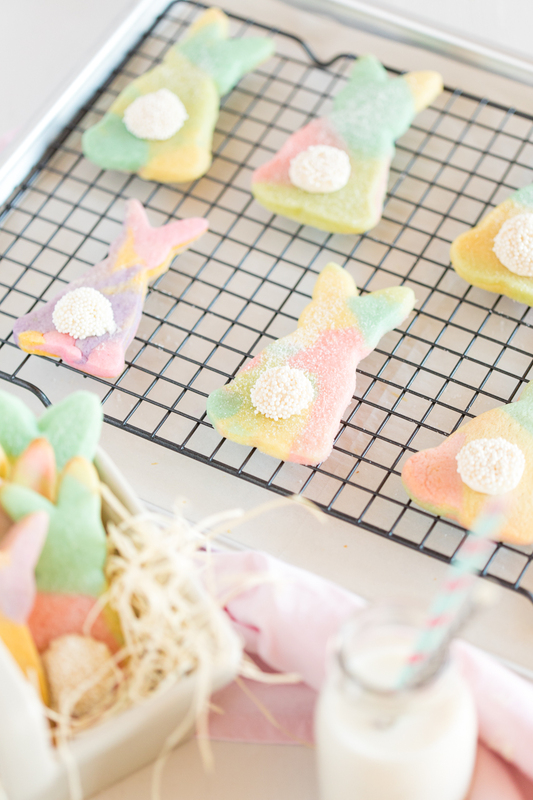 We decided to create a springtime version of our marbled fall leaf cut out cookies and we just love them! 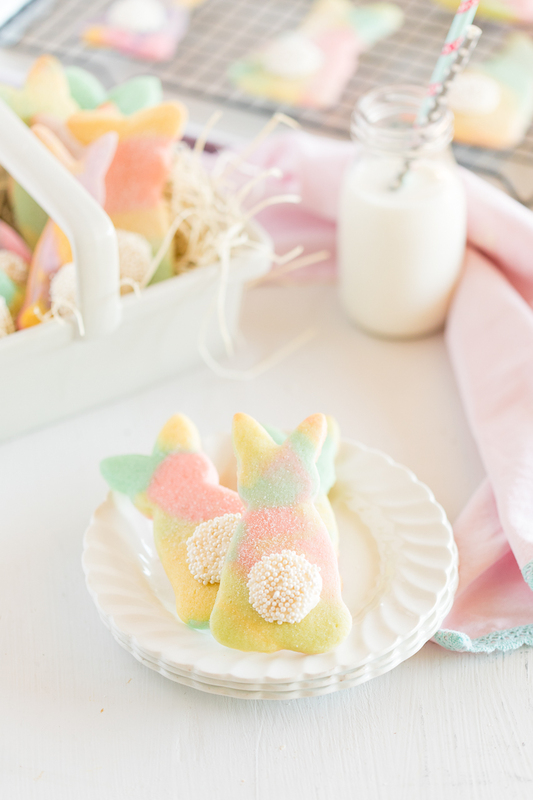 These little bunny cookies are such a festive treat for Easter and Springtime and the kids will love seeing all the different marbled Bunnies they can get. 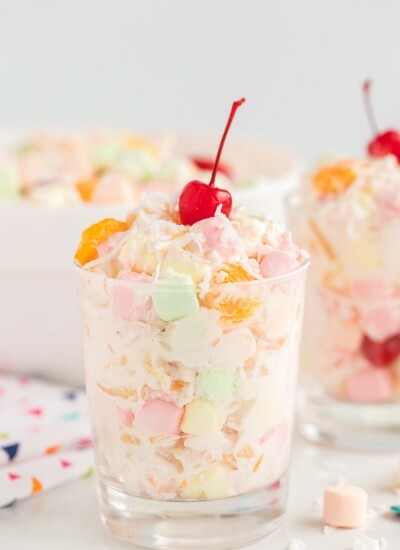 They are the perfect addition to your Easter dinner dessert table or for your kids Easter baskets. They are also great for class parties and other social events. Add a little bunny bum with some frosting and white sprinkles and you have a cute cookie everyone will enjoy to eat. 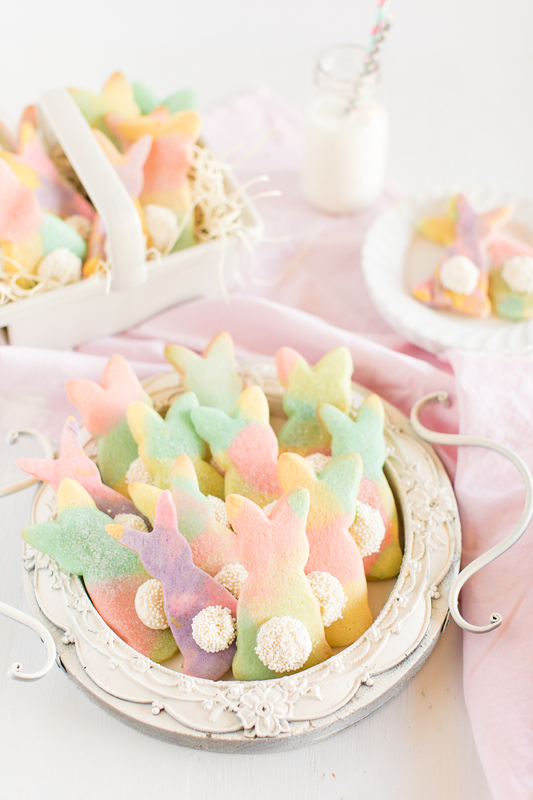 What sugar cookie dough can I use to make these bunny cookies? 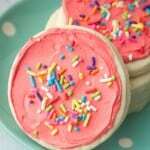 The sugar cookie recipe we use is a cross between a sugar cookie and a short bread cookie. 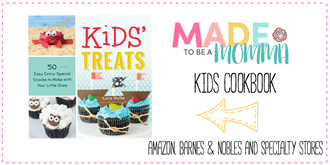 The sugar cookie recipe is one of our family favorite recipe that we use all the time. It is not a super sweet cookie dough as we typically top it with a delicious buttercream frosting. 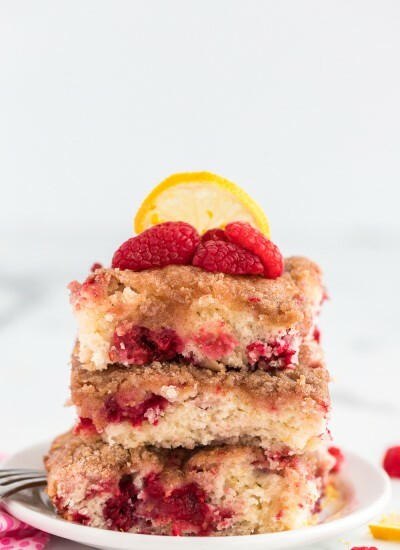 If you prefer a sweeter cookie base, since these cookies aren’t frosted, you can add a 1/4 cup more sugar to the recipe, use a store bought sugar cookie mix, or your favorite sugar cookie recipe. What kind of food coloring do I use? 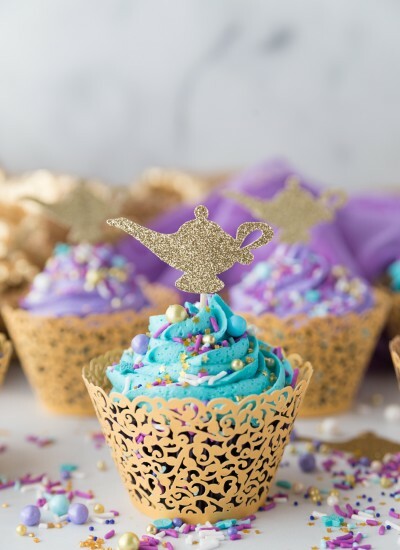 I tend to prefer gel food coloring as the colors are more saturated, tend to be brighter, and there are many more options of colors, but regular liquid food coloring works just as well! Prepare sugar cookie dough according to below directions. Separate dough into separate bowls, amount depending on how many different colors you would like. We chose to do a soft yellow, green, mint and pink. 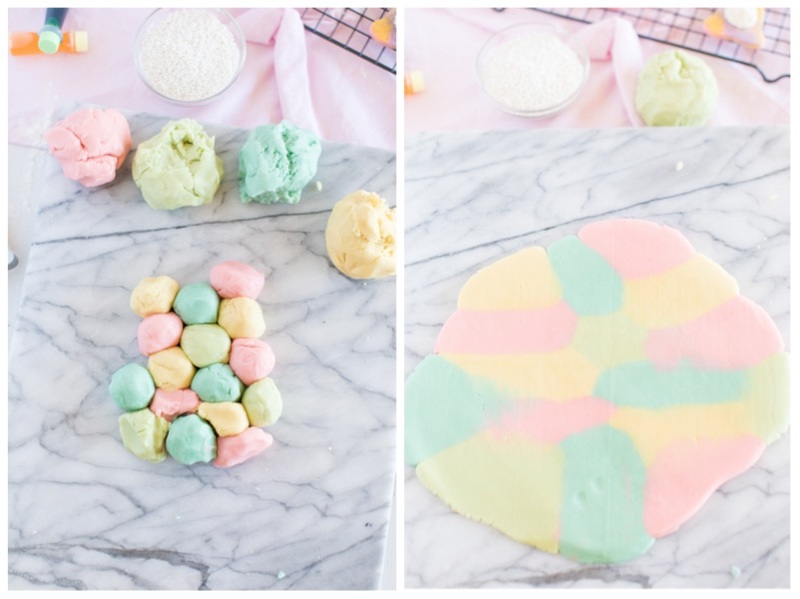 Add dollops of colored sugar cookie dough next to each other and roll out as you would normally. Don’t over roll or your cookie dough colors will begin to blend too much. 3. 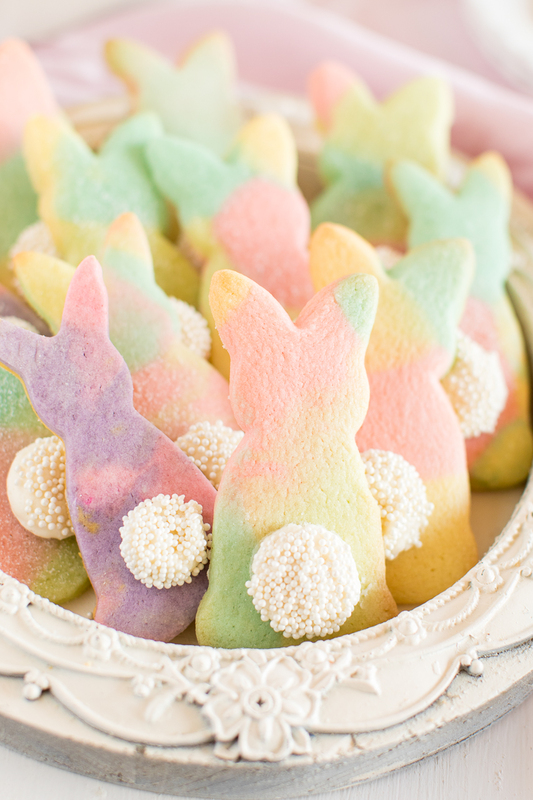 Use a bunny cookie cutter and cut out different bunny shapes, working in a way that you get the most amount of colors in one shape. 1 1/2 cups sugar, add 1/4-1/2 cup additional sugar for cookies not being topped with icing. Cream together butter, sugar, and salt in a stand mixer with paddle attachment. Add flour, cornstarch, and nutmeg. Mix on low until fully incorporated. Use a rolling pin to roll all of the cookie dough out to a thickness of 1⁄4 inch. You may also work with half of the dough at a time if needed. If your cookie dough is sticky you may lightly flour your surface. You can also place the dough in the refrigerator for 30 minutes if necessary. Cut cookie dough into desired shapes using your favorite cookie cutters. 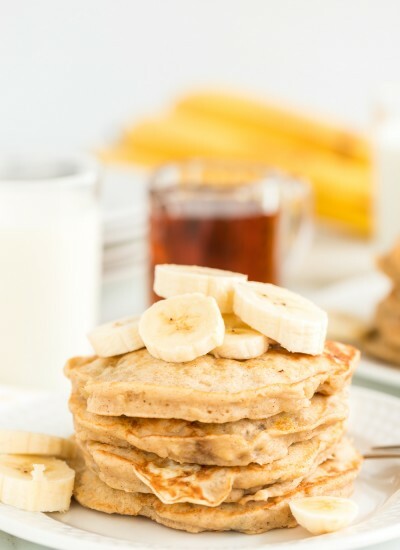 Bake for 10 minutes or until edges are lightly browned. Do not overbake. Remove from oven. If decorating right away, allow cookies to cool completely before icing. If storing, place them in an airtight container for up to 2 weeks or in the freezer for a few months.